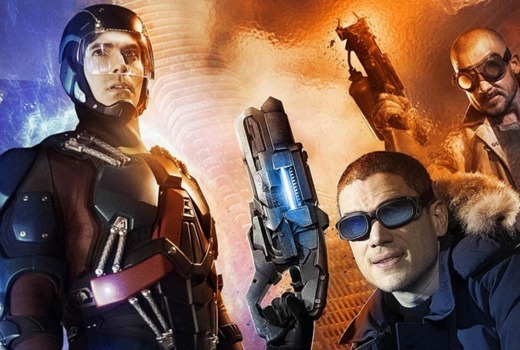 Upcoming super-hero series DC’s Legends of Tomorrow will premiere in January. The series, starring Arthur Darvill, Dominic Purcell and Wentworth Miller, will screen Express from the US on FOX8, which is a nice change from new titles that are often later in their first season. As previously announced, Supergirl will premiere at 8:30pm Sunday, December 6th, also on FOX8. When heroes alone are not enough, the world needs legends! Having seen the future, time travelling rogue Rip Hunter (Arthur Darvill), comes back to the present day to recruit a disparate group of both heroes and villains to try and help prevent an apocalypse that could impact not only Earth, but all of time. Updated: Now premiering 7:30pm Friday January 22. Have just seen the new trailer for legends and it screens 21st Jan on the CW. is this going to change the premier on Fox 8. Can’t see it screening in Australia earlier than the US. Flash and Arrow have both been going well this season. The Flash, Legends of Tomorrow and Arrow all within 24 hours of each other? I need a cold shower!